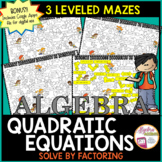 This activity combines the skill of solving quadratics by factoring when a=1 with the classic board game CLUE. 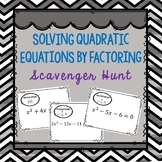 Students will use the clues they gather from correctly solving quadratic equations by factoring to solve the mystery of Who Killed Mr. Quad. 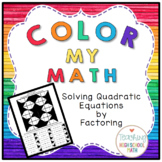 This kit offers two ways to use this activity. 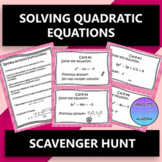 This activity combines the skill of solving quadratics by factoring when a≠1 with the classic board game CLUE. 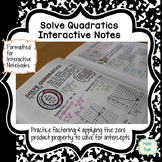 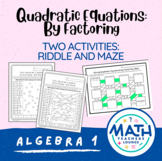 Students will use the clues they gather from correctly solving quadratic equations by factoring to solve the mystery of Who Killed Mr. Factor.This kit offers two ways to use this activity. 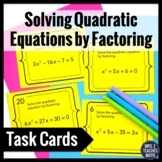 This is a short puzzle that students can use to practice solving quadratic equations by factoring. 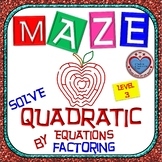 There are 14 problems in the puzzle. 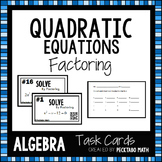 Students factor each equation and then match it to a letter. 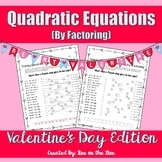 They then can read the answer to a funny Valentine's Joke. 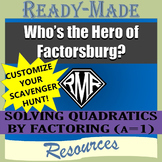 Also included in: Factoring Activity Bundle!